Dessert in Princeton dining halls is already pretty good, but taking a few extra minutes can make it a thousand times better. There are many easy and delicious ways to satisfy that sweet tooth of yours. All of the ingredients used in the following creations were found in Whitman and Wu dining halls at Princeton, although most can be made in any campus dining facility. 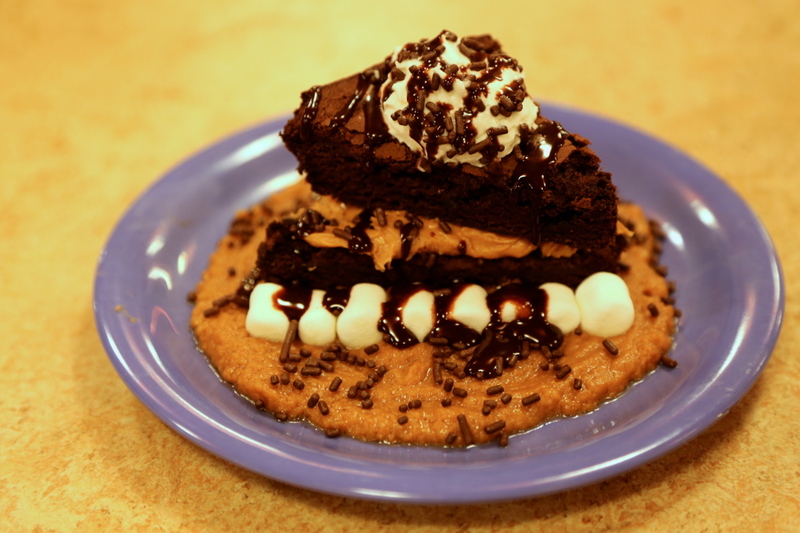 Here are some of the best tricks for creating deluxe desserts in the dining halls. To make this mouth-watering dessert, first mix three large spoonfuls of peanut butter with two spoonfuls of hot chocolate and two spoonfuls of coffee. Scoop it out onto a plate and use the back of a spoon to spread it into a circle. Then, spread peanut butter in between two brownies, line up some marshmallows, add some whip cream, chocolate sauce and sprinkles and BOOM! It’s a chocolate miracle. This dessert is very easy to make, tastes great, and is even semi-healthy! Take the best-looking apple you can find and slice it into five or six pieces. Spread peanut butter generously in between each layer and “re-make” the apple; it’s like a puzzle but better! Then comes the chocolate syrup and all of the rainbow sprinkles your heart desires. Did I just say dessert for breakfast? Start off with two pieces of French toast. 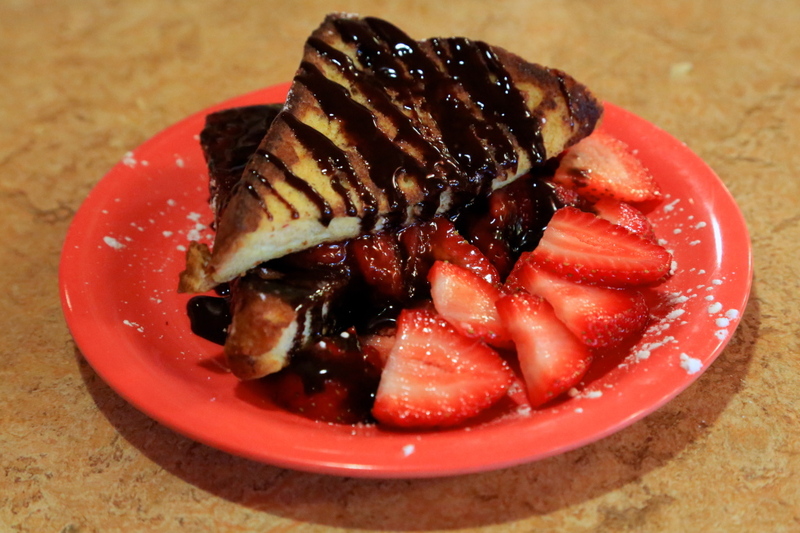 Take the bottom piece and spread the delicious dining-hall-made strawberry syrup and chocolate syrup on top. Then, put the top piece on and continue to go crazy with the chocolate syrup. Slice up some strawberries, sprinkle some powdered sugar, and enjoy! Isn’t it pretty? Mix four spoons of hot water and three large spoons of peanut butter to make the bottom layer. 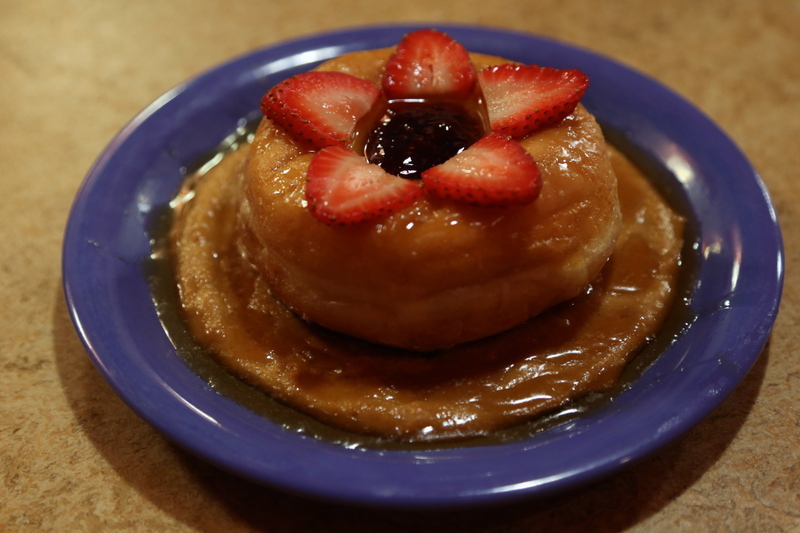 Find the fluffiest, most scrumptious-looking donut to place on top and fill the middle with strawberry jelly. Slice a strawberry or two to make the flower on top. Finally, drizzle honey on top. The simplest ideas are often the best. 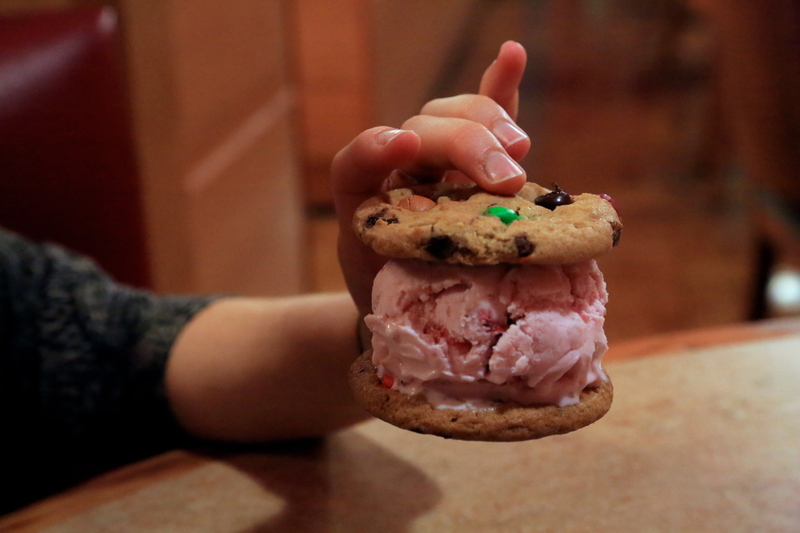 If the dining halls are serving cookies for dessert, grab two of your choice and stick a scoop of your favorite ice cream smack in the middle. Or, if you’re desperate for some cookies, you can always purchase some in Frist Campus Center, they are great! 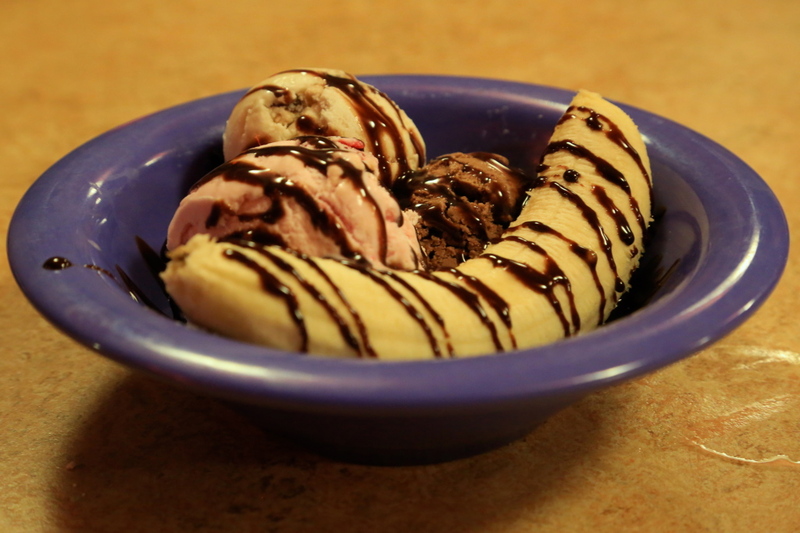 There will be some point in your life when you’re craving a banana split. Now you will be prepared to create one at any moment. After testing the many ice cream flavors Princeton dining has to offer, I can promise that every flavor perfectly complements bananas. Side note: You would not believe the amount of bananas that are eaten at Princeton on a daily basis. 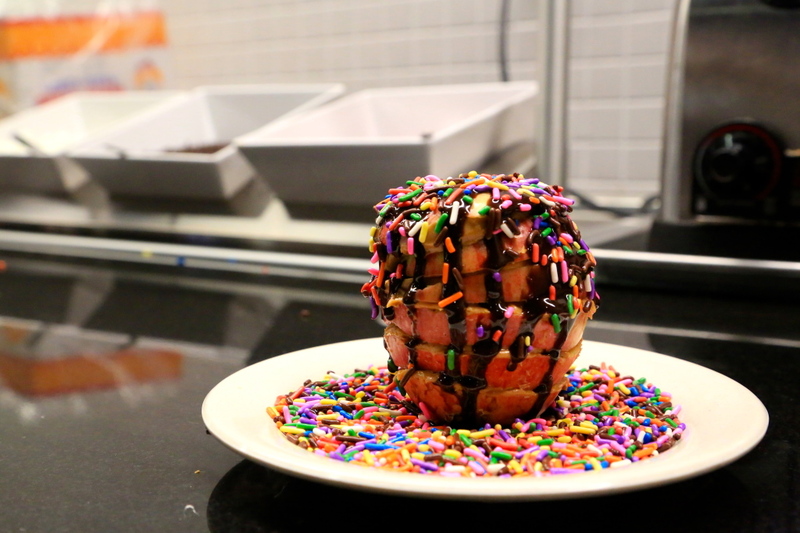 Clearly, breakfast at Princeton has more dessert options than you could have imagined. Let’s just say the dining hall waffle maker is a gold mine. 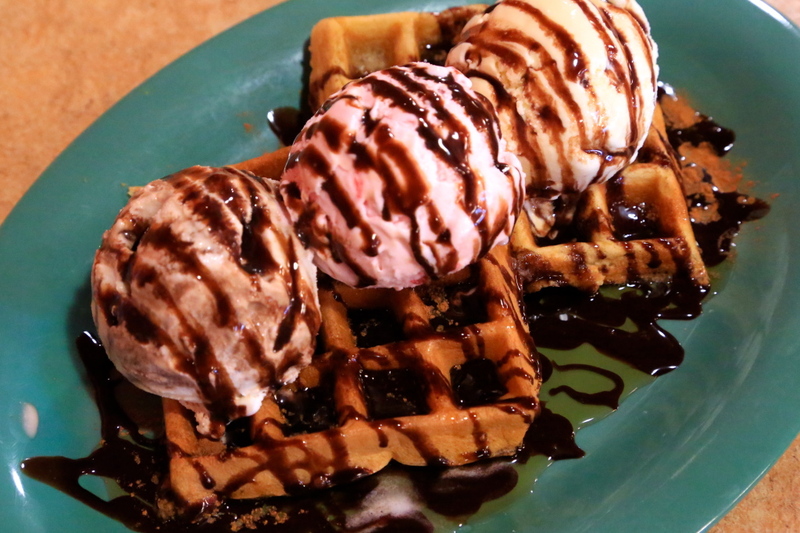 Be sure to generously drizzle chocolate and maple syrup over the waffles and your favorite ice cream flavors, and sprinkle cinnamon on top to finish it off. You can also go the extra mile and add some whip cream! Ice Cream Sundaes: There are SO many topping options for ice cream sundaes. Some of the best you can find are in the cereal and granola section. Fruit, dried cranberries from the salad bar, and honey are awesome as well. Using ice cream for soda or hot chocolate floats as well as milkshakes never fails. And never forget, chocolate and peanut butter taste great with just about anything.